Hawkeye's version of the Baby Mama Drama. - I see better from a distance. 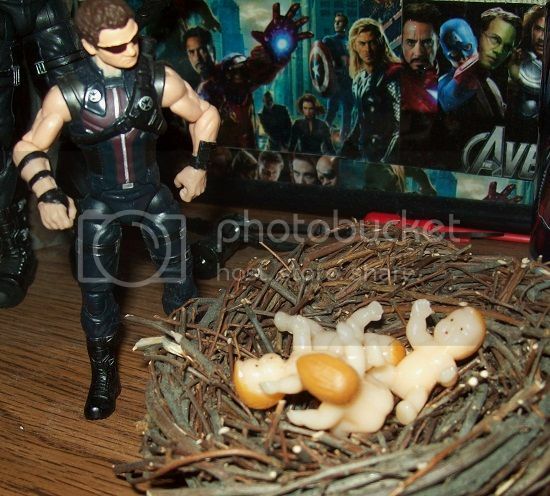 Hawkeye's version of the Baby Mama Drama. 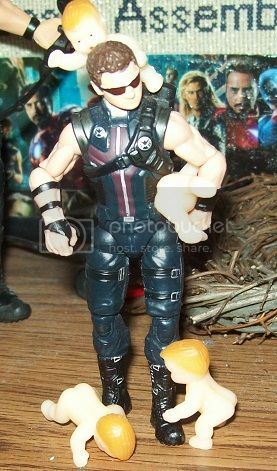 Thought I'd have a little fun with the Renner Baby rumors (which still persist)- Clint finds a big surprise in his nest. 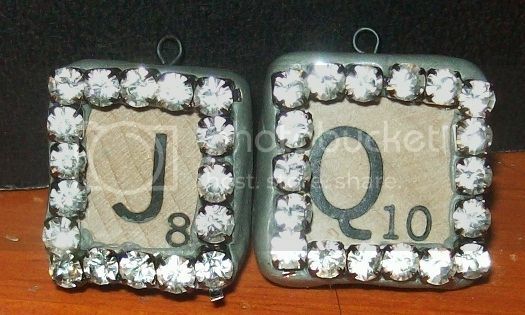 Also, I made some jewelry last night- two Scrabble charms with resin clay- a technique I haven't tried before. Resin clay smells a bit funny when sculpting with it, but it air cures. You can cover Styrofoam balls or other plastic items, which you can't do with polymer clay that has to be baked. Also, it holds everything in place. You're a very sick puppy, you know that? I must be just as bad - I adore your Hawkeye and Tash adventures. They're a lot of fun to do.